When it comes to the oil and gas industry, every minute is devoted to the crucial details that help you get the job done right. Maintaining the reliability of plants involved in the oil and gas supply chain requires periodic turnarounds, where day-to-day operations are suspended, giving workers an opportunity to perform various maintenance tasks that cannot be accomplished while the plant is operational. These shutdowns are usually sizable projects executed under strict time constraints with severe financial impacts for project delays. Industrial maintenance and plant turnarounds are all part of the job and help ensure your operations will continue to move smoothly for years to come. However, every facility is different, presenting unique safety challenges, specific tasks and special requirements. In addition to the scheduled turnarounds, plants may also be forced into unplanned shutdowns due to various operational and safety incidents. Regardless of the type of plant or the cause of the shutdown, every plant faces immense pressure to maximize productivity and minimize the potential for significant financial loss for every hour/day a unit is offline. 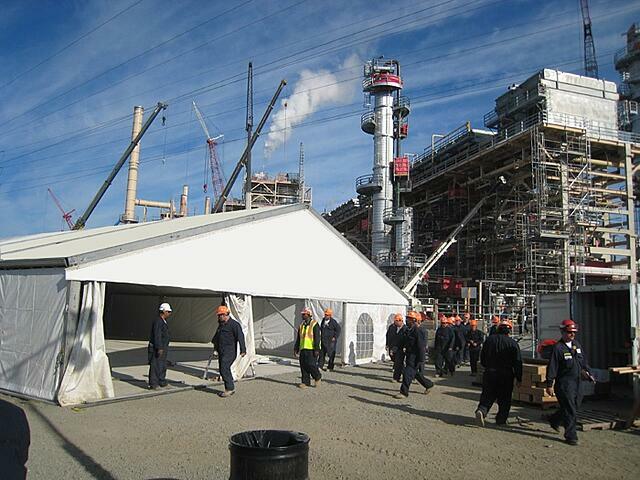 Portable structures are an exceptional engineered solution, as they are flexible enough to accommodate both routine and unexpected plant shutdowns and offer a way for turnaround managers to reduce delays and control costs associated with maintenance operations. Seasonal rains, winter weather and excessive summer heat can cause huge delays in industrial maintenance projects. Temporary structures offer shelter on demand for projects where a quick turnaround is essential to maximizing productivity. These climate-controlled structures increase efficiency and keep productivity up by protecting both the project site and your workers from inclement weather conditions. Additionally, an experienced project manager can quickly deploy a design and get a temporary maintenance facility up and running in a matter of days, greatly reducing a project’s overall timeline. Fewer delays and faster installation translate to less revenue lost. Often, unforeseen equipment maintenance or repairs can create major budget setbacks during a plant turnaround. Controlling costs on the front end of the project can help turnaround managers stay on target as unexpected expenditures arise. 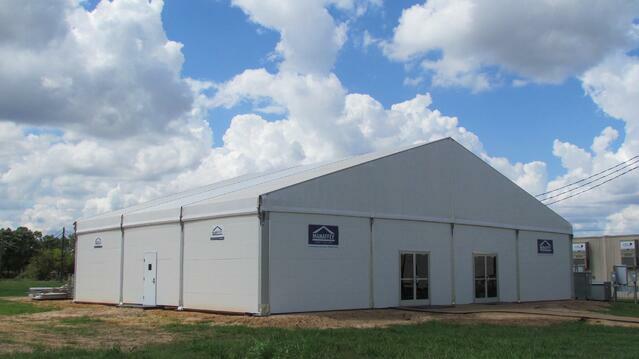 The time-saving installation of a temporary fabric structure can yield significant cost savings when compared with other temporary and permanent alternatives. The risk of surprise costs, extra charges and back charges is significantly reduced, since the structure is prefabricated off-site. Additionally, when capital is conserved by leasing equipment, it can be used for other company expenditures, thereby reducing the strain on your overall budget. The impact of any schedule delay in the completion of a maintenance-related shutdown is three-fold: increased project costs, revenue lost from lack of production and, for public companies, a hit to the stock price as investors become nervous about delays. Utilizing a fabric structure to control costs and protect workers on the front end can help mitigate the potential negative effects of unexpected outages and keep your operations moving. When seeking temporary and semi-permanent industrial fabric structures, look for a company with a documented history of innovation and excellence that you can count on to provide safe and compliant tent solutions. Such a company should hold ISNetworld, HAZWOPER, TWIC, DISA (Defense Information Systems Agency), PICS (Pacific Industrial Contractor Screening) and OSHA certifications, as well as site-specific credentials, to ensure the safety of its employees and your workforce on-site. Would you like to learn more about using portable structures to maintain your schedule with your next industrial project? This article originally appeared in BIC magazine in collaboration with Mahaffey Fabric Structures.